2 Bedroom Apartment To Rent in London for £3,900 per Calendar Month (Calculated). A stunning split-level apartment positioned on the top two floors of this handsome period property. 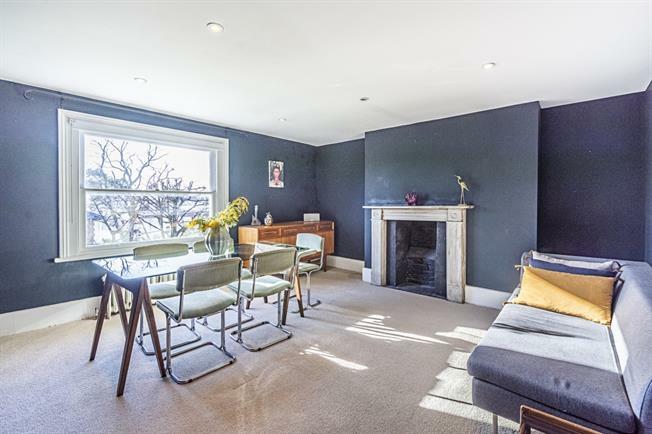 The property has been lovingly restored throughout in a style which blends the properties original period charm with tasteful contemporary living. On the second floor is a reception room with beautiful wooden panelling and wooden sash windows, a very stylish separate kitchen, a spacious bedroom with plenty of built in wardrobe space and a very tastefully finished bathroom. On the top floor is 17'15 x 13'10 master bedroom with its own balcony with roof top views.